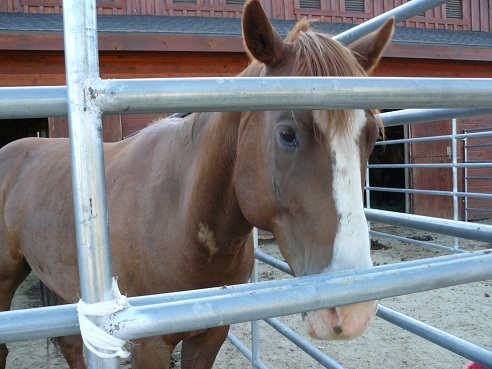 There are so many Truckee Summer Activities to choose from! 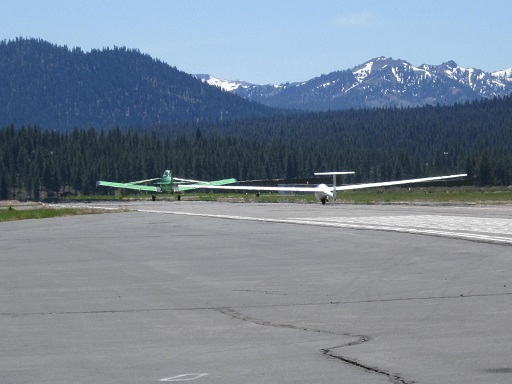 Truckee has so much to offer within the town. The proximity to nearby cities like Reno, Lake Tahoe,Olympic Valley where Squaw Valley is located, Tahoe City, Kings Beach, and Incline Village gives you even more activities and events to choose from. I feel like I had more fun in the four years that I lived in Truckee, than I have the rest of my life! 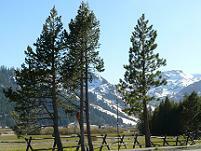 We loved riding the cable car and going up to Squaw Valley's High Camp. We were lucky that our neighbors had a jet ski, and they often invited us over to Boca Reservoir to hang out and jet ski with them. Another favorite of ours was to drive down Hwy 89, past Squaw Valley to Tahoe City and swing to the right and park in the bike trail parking lot. We would then roller blade along the Truckee River to Alpine Meadows and back. Any trip over to Tahoe City invariably involved lunch out on the Sunnyside Restaurant & Lodge deck! Amazing food, service, and scenery! We did most of our shopping locally in Truckee, but went shopping at the Costco in Reno about once a month, and did a major stock up before winter, so the kids would plan the day around stopping before hand at Boom Town in Verdi, just over the California/Nevada border. Their Family Fun Center was 30,000 square feet full of arcade games. While in Reno, we made sure to hit up one of the inexpensive Casino all you can eat buffets. Many places had Kids Eat Free deals. 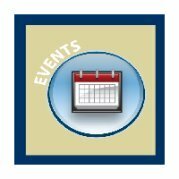 Additional details about each Truckee Things to Do in the Summer, as well as lots of pictures, videos, and opportunities to share YOUR favorite Truckee Summer Activities stories will be coming soon! 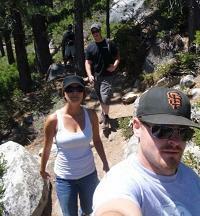 There are exceptional backpacking trails in Truckee, the Sierra Nevada and Lake Tahoe areas! 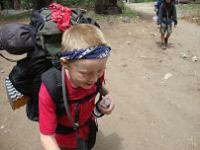 Essential supplies for a day hike, or a multi-day trip. 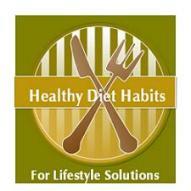 Tips on Cooking and some suggested foods, as well as Safety tips. 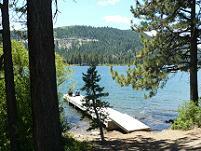 For Beach Lovers...there are several great Truckee Beaches at Donner Lake to choose from. Some are private neighborhood beaches, and some are open to the public and have boat rentals available. 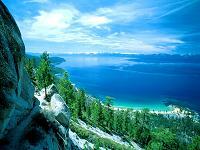 The Lake Tahoe Beaches are all gorgeous with the backdrop of Lake Tahoe and the Mountains, Rocks and Clear Water. One of my favorites is Sand Harbor and Patton's Beach at Waterman's Landing in Carnelian Bay, if you have a Dog! The Truckee and Lake Tahoe area have lots of great devoted Bike Trails and lots of great annual Bike Events. 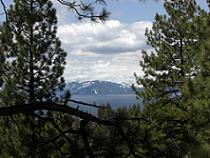 One of my Favorites is the Tahoe City to Olympic Valley trail. See also Truckee Biking Maps. 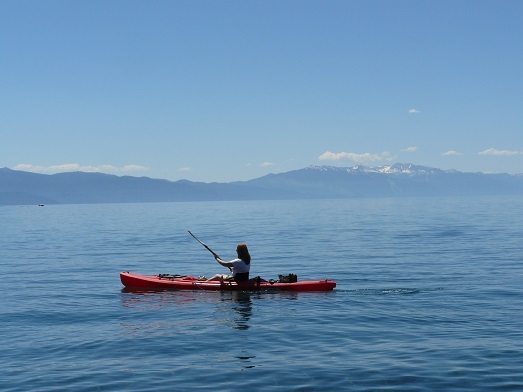 With all the Truckee Lakes and nearby Lake Tahoe, boating is one of the summer's most popular activities! 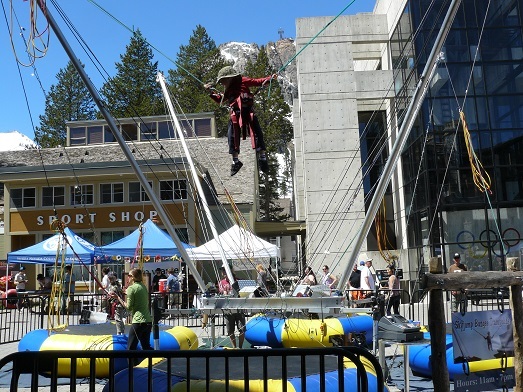 Northstar California and Squaw Valley (pictured) offer Bungee Trampolines. This is a great kid activity, but the Squaw Valley weight limit is 220lbs, so adults can try it too! For a super fun day and unbelievable views, you can ride one of the Cable Cars at Squaw Valley up to High Camp, or drive around to South Lake Tahoe, and ride the cable car at Heavenly Valley. 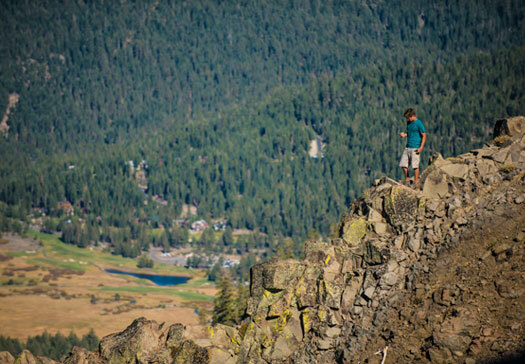 Find out where to climb in the Truckee and Lake Tahoe area, as well as in Reno, Nevada. Find out about the benefits of climbing. 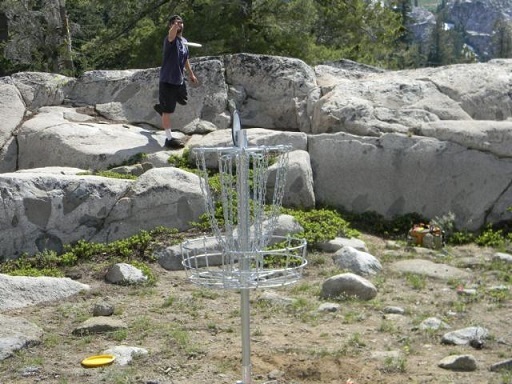 Truckee has a Disc Golf Course at the Truckee River Regional Park. 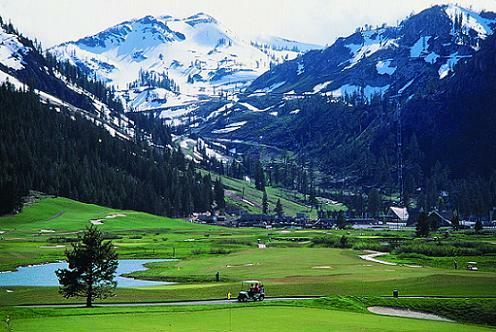 There is also Disc Golf available at High Camp in Squaw Valley. Divers Cove at Sand Harbor State Park is a great place to dive at Lake Tahoe. 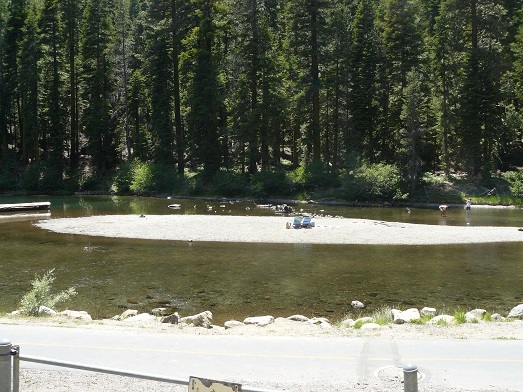 In Truckee, the China Cove Beach area that can be accessed in the Donner Memorial State Park, is a popular spot to dive. 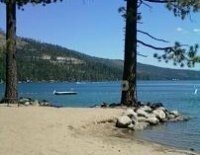 Lots of great summer activities can be found at the park - The campgrounds are great, and the Park offers Donner Lake access, lots of Hiking Trails and the China Cove Beach for swimming. You can rent all types of boats from the park, and it is a fantastic place to have a picnic or bbq. It is also a nice place to bike. Truckee has great fishing at Donner Lake, the Truckee River, and many of the other Truckee Lakes, including nearby Lake Tahoe. 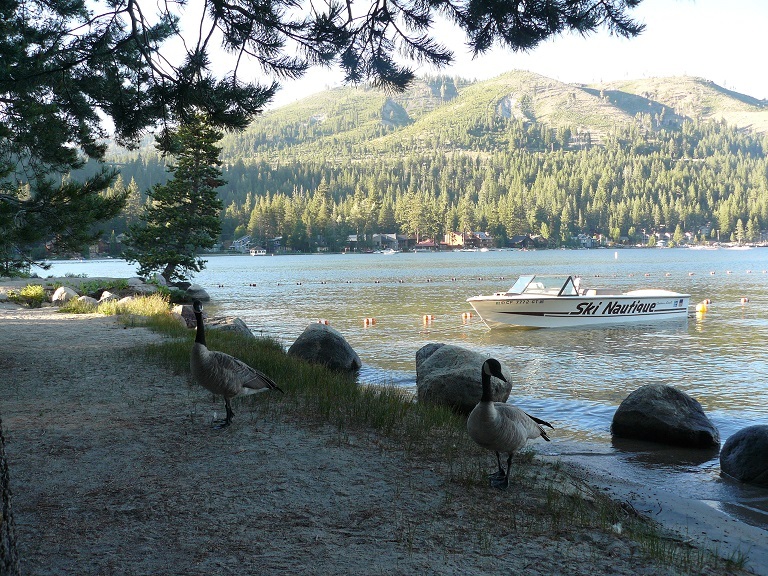 Shoreline Park at Donner Lake offers an All Access Fishing Pier designed to provide lake access for people with any level of physical disability. See my Truckee Fishing News page for top daily news articles from Google. Can be done year round on the Truckee River. 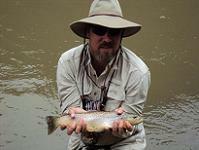 See my Truckee Fishing News page for top daily news articles from Google. Information on the Truckee and Lake Tahoe hiking trails, what supplies to take with you, and some general hiking and safety rules. Also, information on Dog Friendly hikes! 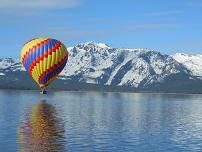 There are several companies that offer Hot Air Ballooning over Lake Tahoe. The photo opportunities are incredible! If you are afraid of heights, I would recommend attending the Great Reno Balloon Race which is an annual event in Reno, Nevada. 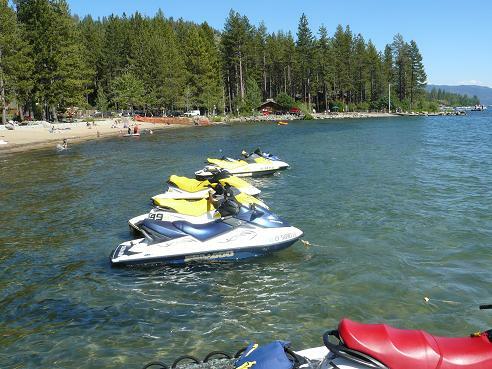 Jet Ski's are available to rent at Donner Lake and some of the Lake Tahoe Beaches. Kayaks are available to rent at Donner Lake and some of the Lake Tahoe Beaches. Lake Tahoe is utter Paradise, and fortunately just a quick drive from Truckee! 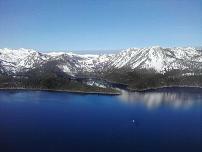 It is a gorgeous drive if you have never driven around Lake Tahoe - make a day of it with fun stops along the way! 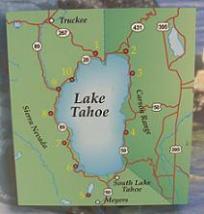 See my Lake Tahoe Map page. Obviously the Truckee and Lake Tahoe area have many great Mountain trails that are great for Mountain Biking, like the Flume Trail which is pictured to the left. Northstar California and Kirkwood, both have Mountain Bike Parks. See also Truckee Biking Maps. 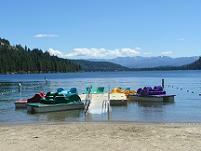 Paddleboats are available to rent at Donner Lake and some of the Lake Tahoe Beaches. 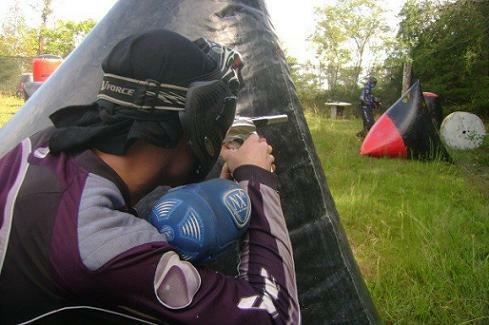 Squaw Valley has moved their Paintball speed course down to the base level in 2013, instead of at High Camp. 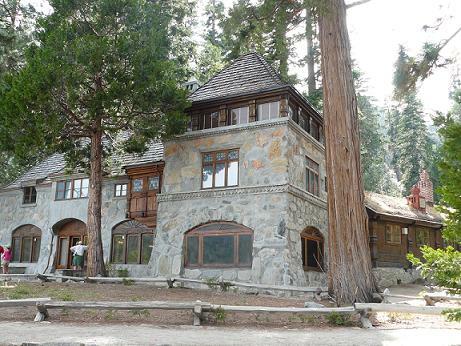 This means it will be more affordable, since you won't have to pay for a Cable Car Ticket to get up to High Camp. 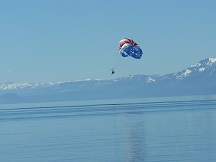 Photo Courtesy of Ed Youmans of Daydreams Paragliding in Incline Village. 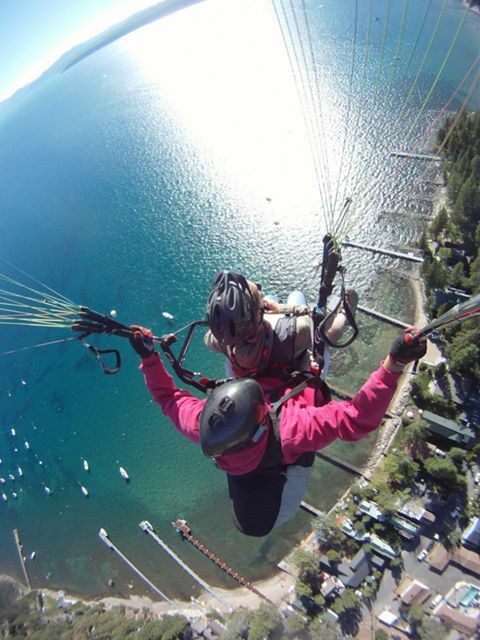 Check out the Daydreams Paragliding Facebook page for more amazing photos! 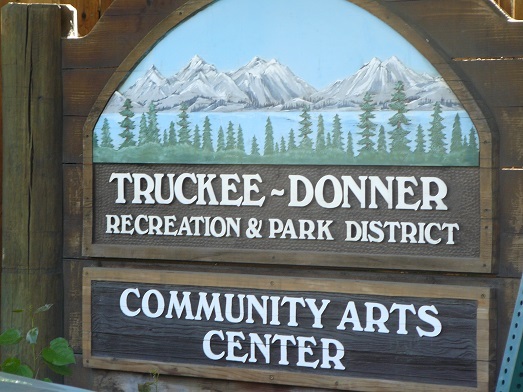 Truckee has some great Park Facilities - local and State Parks, like Donner Memorial State Park. The largest local park is the Truckee River Regional Park which covers 62 acres! There are several Raft companies in Tahoe City that offer rafting in the summer from Tahoe City down to River Ranch Lodge. A shuttle bus will take you back to your car. 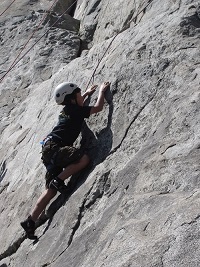 NASTC Located on Donner Summit offers rock climbing instruction and guiding with experienced AMGA certified instructors and guides. 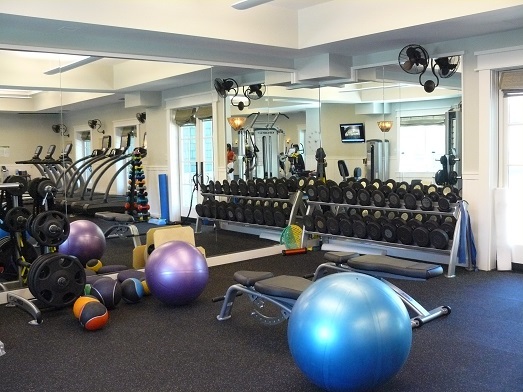 They offer private and group instruction. Please check out their website for their summer workshops - they have a Children's Rock Climbing Camp, KidsClimb! 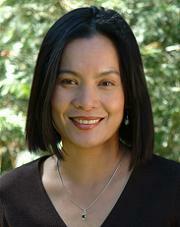 on June 27-28 and a Women's Climbing Workshop on July 20th. Photo Courtesy of NASTC Stock. 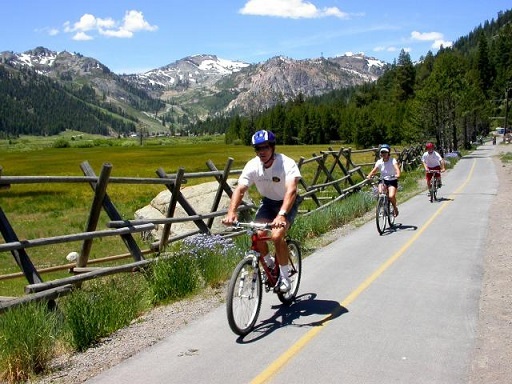 While there are many paved bike trails that are great to roller blade or skate on, the Ice Skating Rinks at Northstar California and Squaw Valley up at High Camp, covert to Roller Skating rinks during the Summer Season. 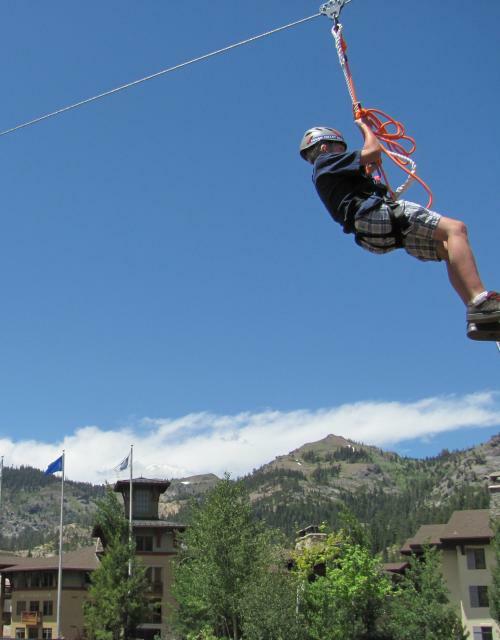 Northstar California and Squaw Valley both offer Ropes Courses. 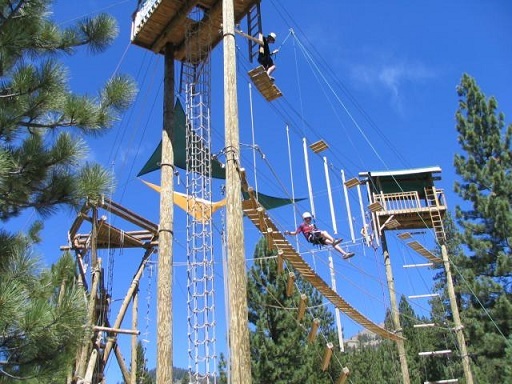 Granlibakken Resort in Tahoe City has the fabulous Treetop Adventure Park which has been voted the #1 Tahoe Activity on Trip Advisor. The Truckee Donner Recreation & Park District has some small sailboats that they keep at Shoreline Park. They offer lessons in sailing! 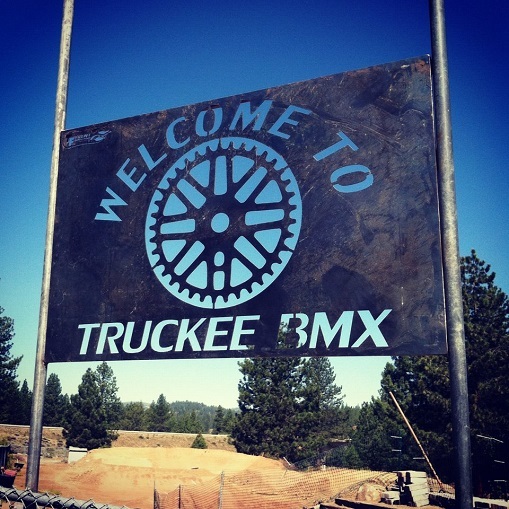 Truckee has a Skate Park that is free to use at the Truckee River Regional Park. Getting out on a Stand Up Paddleboard seems to be the latest sport to hit Donner Lake and Lake Tahoe. What is it, where to rent/buy boards, plus check out a couple of Training Video's for Tips on how to do it! Truckee has an indoor swimming pool at the Truckee High School that is open to the public. The Squaw Valley High Camp Pool/Spa is beyond gorgeous. 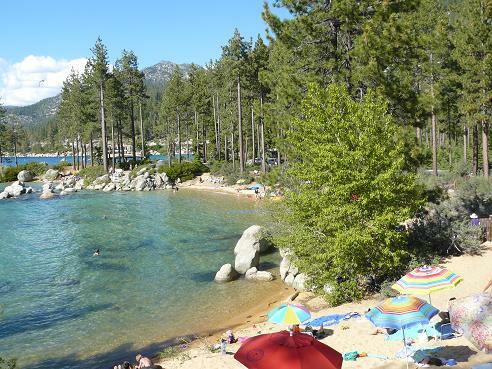 (pictured) You can swim at the Truckee Beaches, Lake Tahoe Beaches, and Truckee Lakes during the summer months. Many of the Truckee Neighborhoods, have neighborhood pools for their residents and guests. 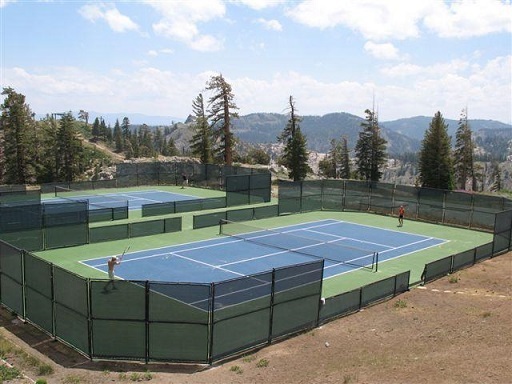 There is a tennis court at West End Beach at Donner Lake, and two courts up at High Camp at Squaw Valley. There are also some private tennis clubs/courts in some of the Truckee Neighborhoods like Glenshire, Martis Camp, and Tahoe Donner. The Truckee and Lake Tahoe area have lots of fantastic annual Wine Events - most of which are in the Summer and Fall months! Many of these are fundraisers for the Truckee Non Profit Organizations and the Lake Tahoe Non Profit Organizations.